- Dear friends, let me greet all those present! As you well know, the president of FC Shakhtar always sets very ambitious goals for the club. The Academy operation is no exception. The president has set a goal – to build the best Academy in Eastern Europe and one of the best in Europe. To achieve it, we’ve carried out quite a lot of work, – Sergei Palkin said in his opening remarks. - We understood that we wouldn’t manage to do it on our own. There were many interviews and meetings with a large number of candidates. We decided to invite a top specialist who had worked for five years as director of Barcelona’s Academy and about seven years as director of the Club Atletico Boca Juniors Academy, which is considered the best in Argentina. Let me introduce to you Mr. Jorge Raffo, the FC Shakhtar Academy director. - It’s a great honour for me to be here and assume the responsibilities of the FC Shakhtar Academy director. I am very grateful to the president Rinat Akhmetov and the CEO Sergei Palkin for choosing me. I'll do my best to set the work at the Academy and make it the best one in Europe. As a model, we will take as a basis the development of young players at one of the best Academies in recent years – that of FC Barcelona. 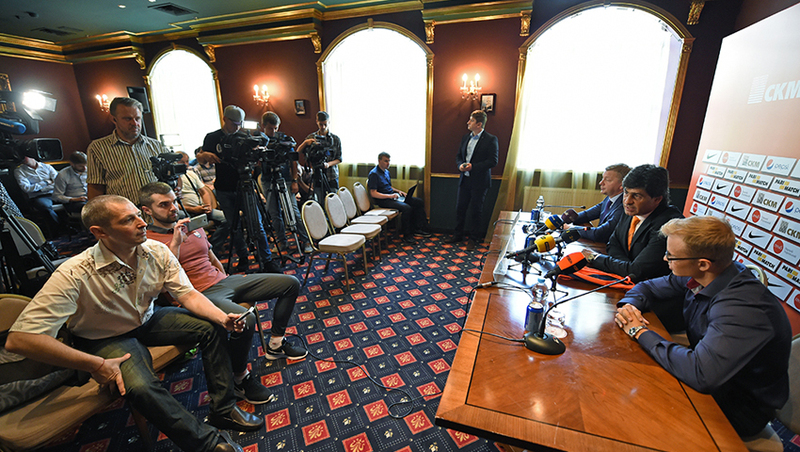 After the formal part, the Shakhtar CEO answered questions from the media. - Sergei Anatolyevich, will Oleksandr Funderat stay to work within the club structure? - He faced a very serious test. The club and the Academy have actually been without a home, travelling for more than three years now. Oleksandr Funderat went on vacation for a certain period of time. He will rest and join the Academy with renewed energy, but in a slightly different capacity. - How difficult was your choice in favour of Jorge Raffo? - It’s hard to entice such a specialist. Any self-respecting club needs them, with Boca Juniors being top-level in Argentina. The negotiations lasted for about six months, and in the end we finally signed a contract. - You have ambitious plans. How much do you stretch them in time? When do you expect the first results and what are you looking forward to in two or three years? - First of all, I want to say that the Academy’s main objective is to prepare at least one player per season for the first team. We’ve been working on that. In general, the objective is to completely rebuild the system over 1.5-2 years in the direction that Jorge has just mentioned.